ZANU-PF cadres alleged to have collaborated with the party's enemies in secret cables released by controversial whistle-blowing website WikiLeaks should go through the party's disciplinary process and be punished if found guilty of betrayal, a senior official has said. 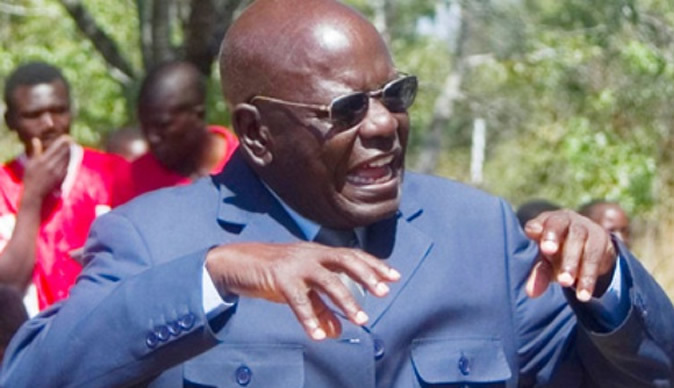 Speaking at the Manicaland inter-party conference held at the Mutare Hall yesterday, Zanu-PF secretary for administration Didymus Mutasa said those caught on the wrong side of the law should be punished regardless of the positions they hold in the revolutionary party. "The issue of WikiLeaks has become a major challenge for the party. Those that are implicated should go through the normal disciplinary procedures of the party. "If anyone is found guilty of having sold out, he or she should be punished accordingly like everyone else," said Mutasa. "There should be no selective application of the law. If some were punished in the past for selling out, the same should also happen to those implicated in the WikiLeaks saga." Speaking at the same occasion, the party's national commissar, Webster Shamu, urged party supporters to shun corruption and desist from politics of patronage. "It is sad that there is a lot of infighting in the party because some cadres want to align themselves with certain individuals at the expense of loyalty to the party," said Shamu. The event was attended by several senior party officials including secretary for women's affairs Oppah Muchinguri and youth chairperson Absolom Sikhosana.